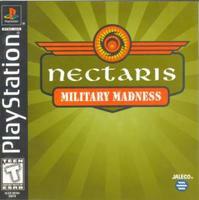 In NECTARIS: Military Madness, it's up to you to save the Moon from the evil Xenon Empire. To free the Earth's lone satellite, you have a selection of futuristic military units at your disposal that will come in handy in battle. After touching down on the surface of the Moon, your job is simple: destroy all enemy forces and bring peace back to the Moon.